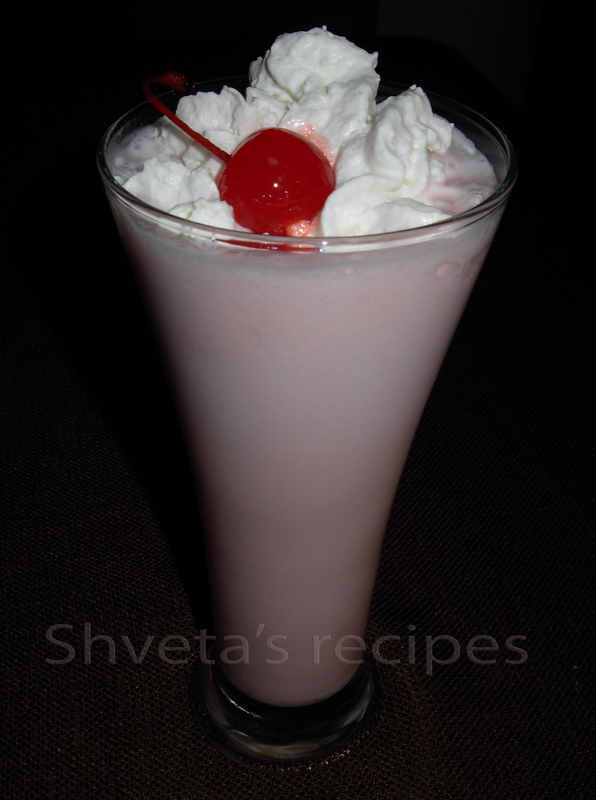 In a blender, add cut strawberries, milk, ice cream, honey and Ice. Blend for a minute. Pour in tall glasses and garnish with whipped cream and cherries. Enjoy your healthy yummy shake. Note: You can add any protein mix of your choice to make it a meal.